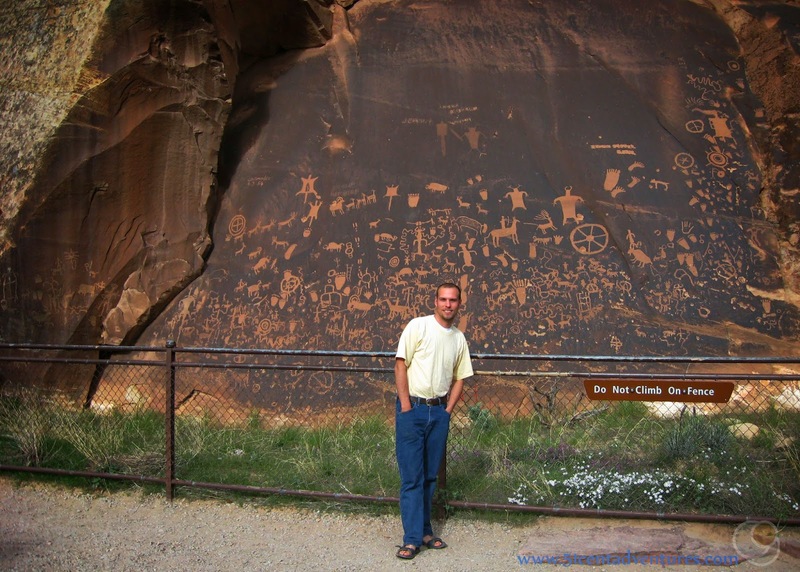 Description: Hundreds of petroglyph designs are carved into the face of a sandstone cliff near Indian Creek northwest of Monticello, Utah. This area is less than a 45 minute drive from Highway 191. The rock art is very easy to view. Location: Along Utah Highway 211 on the way to the Needles District of Canyonlands National Park. Thirteen miles west of Highway 191. About 30 miles north west from Monticello Utah. Operating Seasons and Hours: Open all day long all year long. This was the fourth stop on the fifth day of the Southern Utah Roadtrip that my husband and I went on for our anniversary in May of 2010. 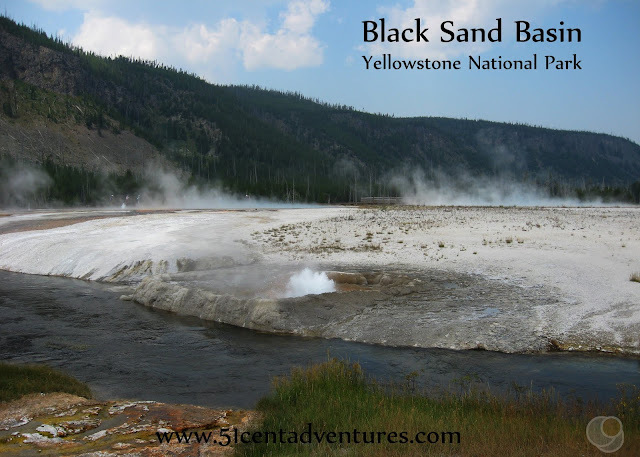 We left the Edge of the Cedars State Park in Blanding, Utah and drove north along Highway 191. We went through Monticello, Utah and continued north for 15 miles. Then we turned west and drove for another 13 miles on Highway 211. Maybe it's because we'd already driven over 200 miles that day, but I remember feeling like the drive from Highway 191 to Newspaper Rock was taking forever. I'd assumed that the last 13 miles to Newspaper Rock would go quickly. I didn't count on the fact that the speed limit was much lower on Highway 211 than it was on 191. The road went over many hills and had some turns. What I'd expected to be only a 15 minute drive turned out to take closer to half an hour. This wasn't our last stop for the day, and I kept thinking about how it would take just as long to drive back out to Highway 191 before we continued driving to Moab. 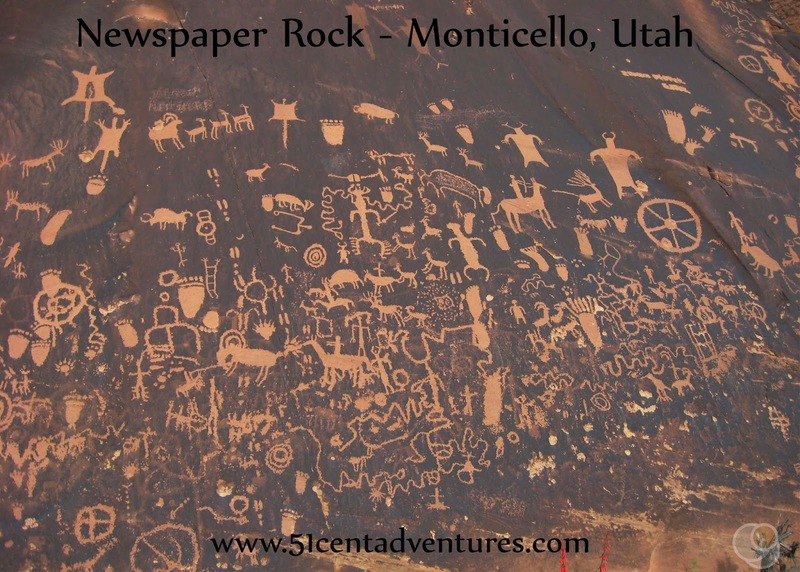 I wondered if Newspaper Rock would be worth the drive. We finally made it to the parking lot for Newspaper Rock. Even though this place is popular with tourists it doesn't have much more than a parking lot, a bathroom, and a path that leads to the rock. There isn't a visitor center or anything like that at Newspaper Rock. That's because the area is managed by the Bureau of Land Management (BLM) instead of the National or State Park system. My husband and I walked down the short path to the base of a cliff. The path was level and would have been easy for anyone to walk. Within a few steps we could see the rock art that was carved into the face of the cliff. This was by far the most and best Native American Art I've seen in one place in my life. It was also easy to see. Unlike the faint rock art at Capitol Reef National Park, this art was carved in stark contrast to the dark "Desert Varnish" on the stone. The art was interesting to look at. Even though it's been studied for years, no one really knows what any of it means. There are pictures of feet with six toes that are puzzling. We had fun imagining what the different images meant. Our favorite was one that looked like Santa Claus and his reindeer. I didn't know it when I planned our trip, but there was a small campground located at Newspaper Rock. The Newspaper Rock Campground had 8 spaces, and was located under some cotton wood trees. It looked like a nice place to stay. I remember wishing that we had planned to stay there. Then we wouldn't have to continue our drive to Moab that night. Even if I had known about the campground, I probably wouldn't have planned for us to spend the night there. I don't like traveling without reservations, and so I wouldn't have planned to stay at a first come first serve campground. I'll admit, at the time I thought that Newspaper Rock was a little underwhelming. I even kind of regretted taking the 26 mile detour to see the rock art. Sure the art was interesting, but I just couldn't appreciate it that much after a long day of driving. However, looking back on the trip has given me a different opinion. The rock is one of the largest collections of Native American Art in the world. And it is very easy to view. I think I would have regretted not going to see Newspaper Rock. The 26 miles to see Newspaper Rock was only a small fraction of the 1700 miles that we traveled on this trip. So overall I will say that yes, it was worth it. Directions: Newspaper Rock is about 50 miles south of Moab and 25 miles northwest of Monticello. Turn west onto Highway 211 off of Highway 191. There are signs that will indicate when you should turn. 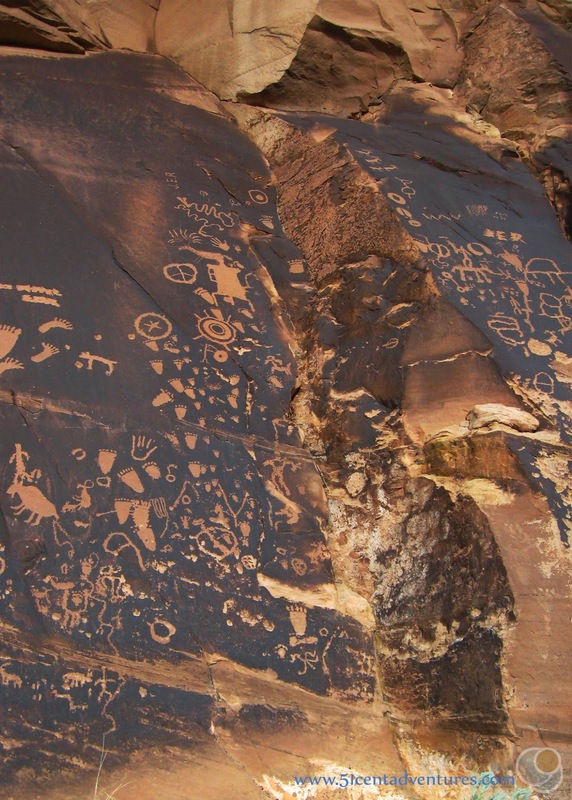 Most say something like, "Newspaper Rock/Needles District of Canyonlands National Park." Places Nearby: The Visitor Center for the Needles District of Canyonlands National Park is only 23 miles north of Newspaper Rock. I don't know why we didn't continue travelling on Highway 211 to see the Needles District. We planned to see the Island in the Sky District later, but I don't know why this part of the park didn't make my list. Maybe I assumed (and rightly so) that we would be too tired to drive into and out of this area at the end of our long day of driving. Looking back I kind of wish we had planned to camp at the Squaw Flat Campground in the Needles District. Actually, I probably did think about camping there, but then decided against it because the campground is first come first serve. I probably assumed that we wouldn't be able to get a spot at that campground if we arrived late in the day. I'm sure I had good reasons for not going to the Needles District, but looking back I kind of regret not going just 20 more miles down that road. Additional Information: Much like the town of Blanding, Utah I've always discounted Monticello as a place that no one would bother to visit. When we went through Monticello in 2010 I didn't see anything that made it stand out. However, as I've researched this post I've been impressed by what the BLM website says about the Monticello area. If I ever get the chance to plan my "Native American Ruins Road Trip" I might include Montezuma Canyon and the Three Kiva Pueblo. Check out all the BLM places near Monticello for yourself by clicking here.